Chartwells and Indiana Area School District are dedicated to providing quality nutritious meals that students will enjoy and choose to eat. If a student has a food allergy, parents should contact the school nurse, who will notify the cafeteria manager. Elementary students may purchase breakfast for $1.10 and lunch for $2.45. Junior and senior high students may purchase breakfast for $1.35 and lunch for $2.75. Milk can be purchased for $0.50. Adult breakfasts are $1.80 and adult lunches are $3.70. If you feel your child may be eligible for free or reduced lunches, please fill out the free and reduced lunch application mailed to your home. If you decide to apply later in the school year or have a change in household size or income, you can obtain a new application from your child’s school office. The reduced price is $.40 for lunch and $.30 for breakfast. 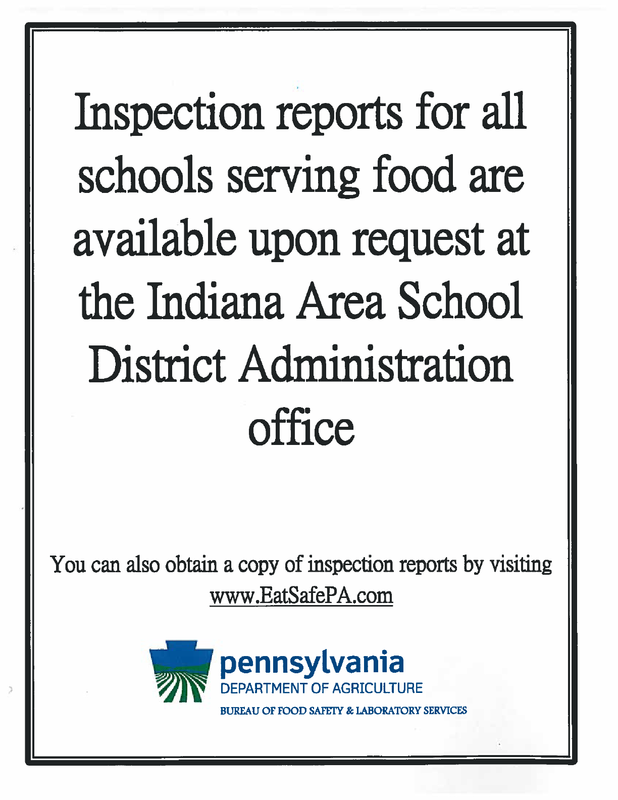 School breakfast and lunch menus are sent home with elementary school students monthly. Menus for secondary students are posted and available in classrooms and in the cafeterias. Menus can also be accessed from this page.